Due to unfortunate reasons Rajnikanth would not be able to return to India before the D-Date. The makers did not want to hold an audio launch event without Rajnikanth. Thus, they have instead opted for releasing the audio online. This page hosts a weekly slideshow related to Tamil movies. Each slide includes a picture and some description about that picture. All the slides will have a recurring theme. People looking for actress stills, actress images, actor stills, actor images, movie stills, movie images, and other interesting topics, relevant issues in Tamil cinema will find this page useful. 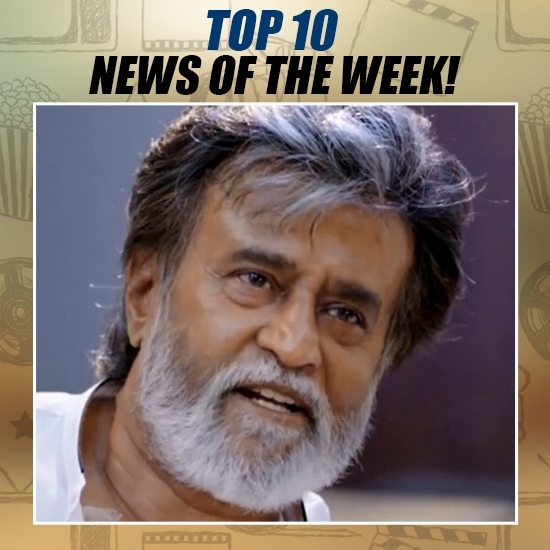 EVERYONE CAN BE A PART OF KABALI AUDIO LAUNCH | TOP 10 NEWS OF THE WEEK (MAY 29 - JUNE 4).